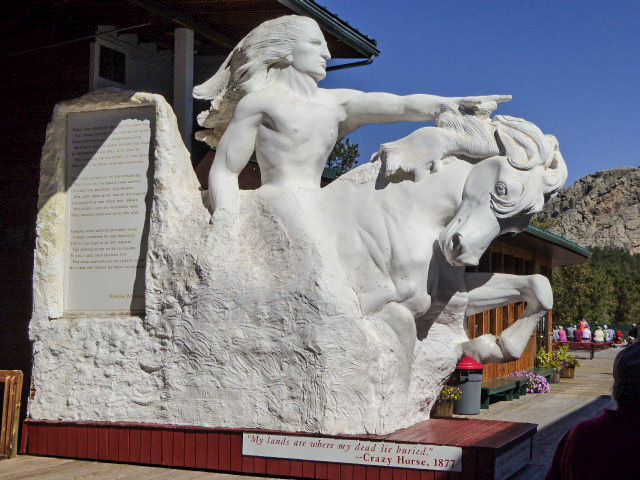 The Crazy Horse Memorial, in the Black Hills of South Dakota, is a giant mountain carving begun in 1948 by Korczak Ziolkowski as a tribute to the Lakota leader. 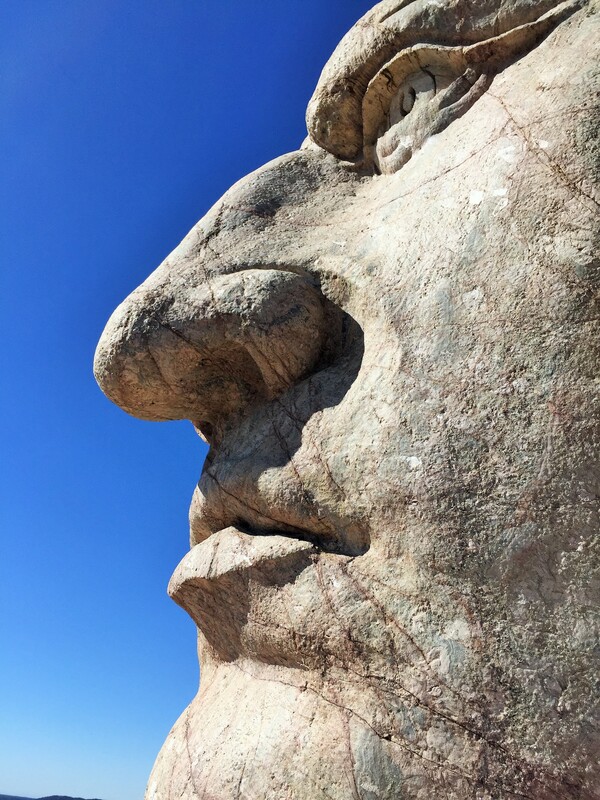 Ziolkowski’s plan was to create a carving 641 feet long and 563 feet high, but that’s a really big project and there’s no telling when – or if – his family or the Crazy Horse Memorial Foundation will ever get the project done. 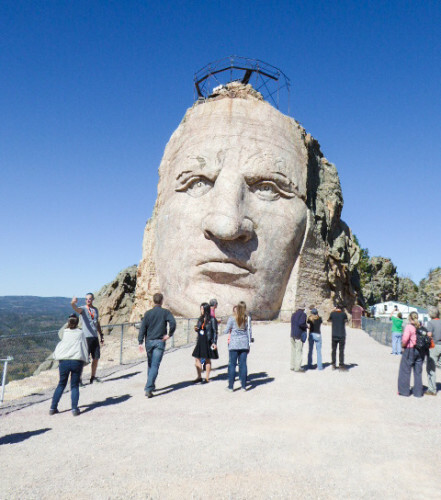 So far, only Crazy Horse’s head has been completed, but at 87 feet, 6 inches, that in it itself is pretty darn impressive and more than one million visitors stop by each year to take a look at that and to visit the impressive on-site museums dedicated to Native American art and culture.